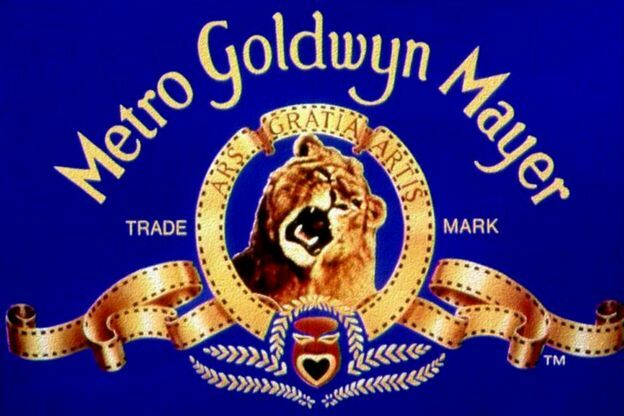 The lion motif appears on the insignia of kings, cars, chocolate bars and rugby shirts - the giant media company MGM has famously used the roaring creature as its logo since 1924. 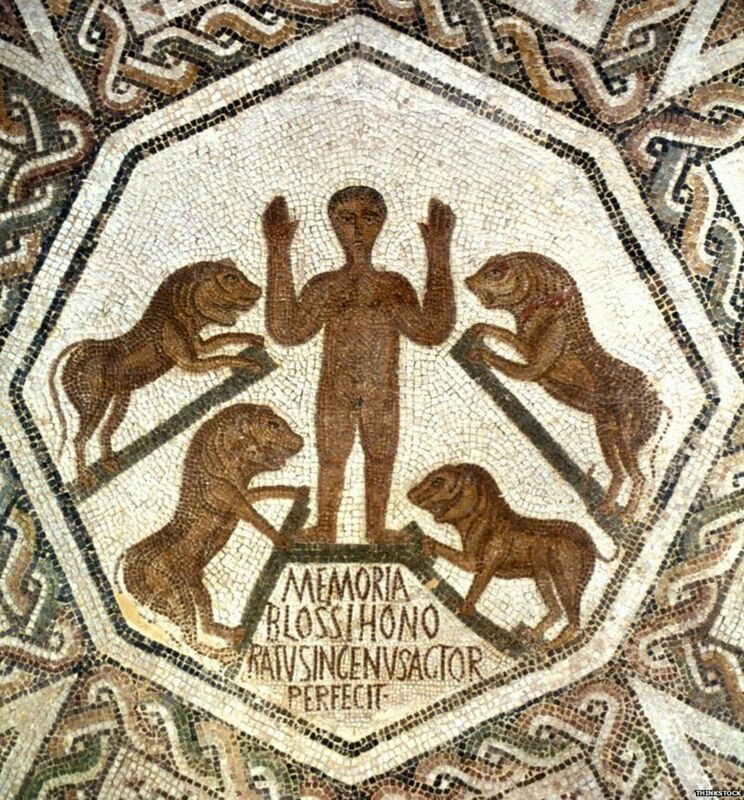 Romanemperors desired them as pets and gladiators often found themselves face-to-face with them in the arena. Spectators revelled at the sight of human courage pitched against the embodiment of elegance and strength. The savagery of the lion made it a perfect agent of execution for criminals and Christians. In medieval England Barbary lions were kept in the Tower of London. Their cages were so close to the entrance - Lion Gate - that no visitor could enter the realm of royalty without first staring into the amber eyes of a lion. The message was clear - this ruler even has the magnificent lion under control. 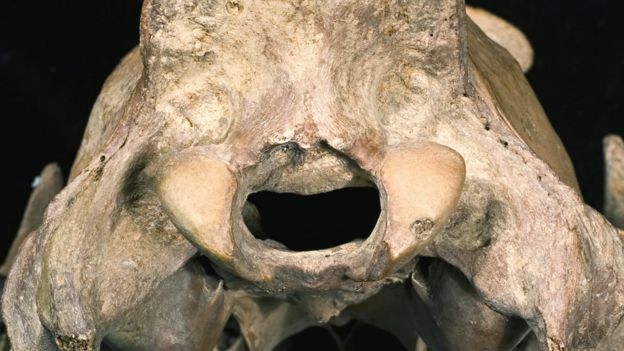 The hole where the spinal cord enters one of the skulls is deformed. "That should be a nice, well-formed, sub-circular shape," says Richard Sabin, curator of mammals at the Natural History Museum in London. "But you can make out that at the top of the hole there's an infilling of bone, it's actually a pathology, a reaction to potentially some sort of nutritional stress. As the bone grew it would have put pressure on to the spinal cord and caused paralysis and blindness." In the medieval mindset a lion was soaked in Christian meaning - it represented Christ the King, and it was firmly believed that lion cubs lay without form or identity in their den for three days after birth until they heard the roar of their father, which imbued them with life and energy. It was a clear reference to Jesus lying in the tomb waiting for his Father to call him to new life. 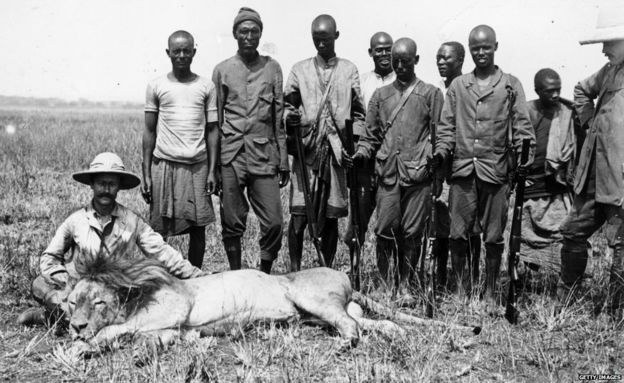 Current research suggests there are no pure Barbaries left in captivity - but there are discussions about bringing them back using DNA from closely related species in India, or selectively breeding captive lions that contain Barbary genes. The question remains though - why? Even if technically it were possible to see a pure Barbary lion once more, it would only ever be a curiosity and would never be able to roam North Africa again. "Can we recreate their natural environment or has that changed for ever?" asks Sabin. "Or will they just be isolated examples of their species in a zoo that people pay to see?" 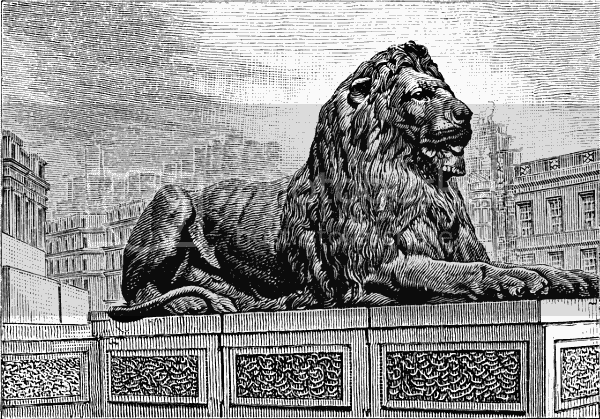 Today, the closest many people get to Barbary lions is in Trafalgar Square in central London, where four males cast in bronze guard the foot of Nelson's Column. Designed by Landseer and installed in 1867, they remain a poignant reminder of our power to destroy what we most admire. Richard Sabin, though, believes the remains of the dead Barbaries still have a role to play. "We decimated them and pushed them into extinction. The fact that we hold their remains in our museum collections means researchers have the opportunity to extract data and put them into a modern context and look at closely related species that may be heading for extinction and potentially halt and slow those extinctions."